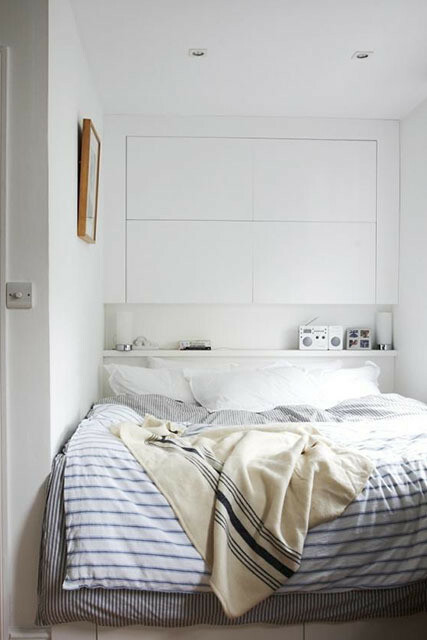 We always love seeing teeny spaces that arouse massive home envy. It can most definitely be done! 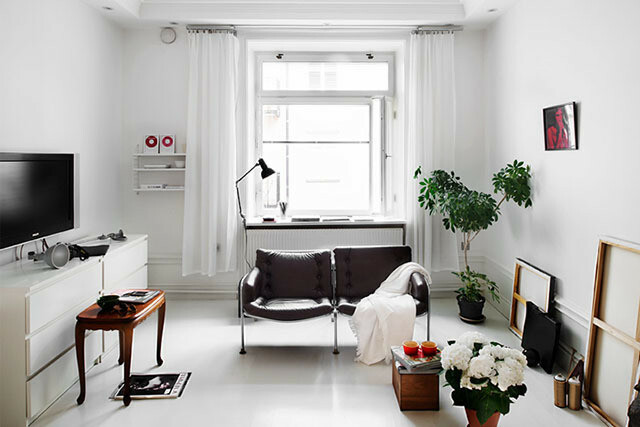 Our latest discovery: Pinterest board “COMPACT LIVING” by freelance interior designer Annika Gehöör. Making due with meager square footage can necessitate extra ingenuity, and the petite, well-appointed interiors on the board put every square foot of space to thoughtful use. Though the rooms range from compact right down to itty bitty, they’re filled with inventive ideas. 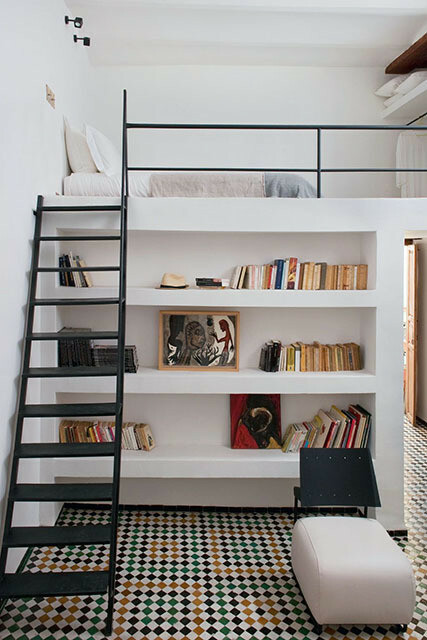 Among them are turning a nook into a bedroom or seating area, dividing a space using shelving to keep the look airy and open, and adopting a ledge as a makeshift bookshelf. Click on for some dreamy little design solutions.